Sometimes a spreadsheet can get so large that it's difficult to make sense of it. 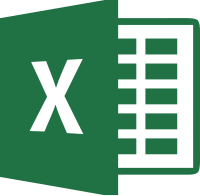 This Microsoft Excel class will introduce such tricks as filtering, sorting, freezing parts of your spreadsheet, and creating charts to help reign in the vast amount of data that can make a spreadsheet confusing. Suggested prerequisite: Microsoft Excel.